Carol Bogezi. Since 2018, Seattle. Ph.D. candidate in the Wildlife Science Program in the School of Environment and Forest Sciences at the University of Washington. Born and raised on a farm in Uganda, Ms. Bogezi is intimately aware of the needs of humans and wildlife competing for natural resources. Her research focuses on understanding interactions between humans and carnivores in Washington State. Emily Cousins. Since 2018, Seattle. Strategic communications director for International Boreal Conservation Campaign. Bill Donnelly. Since 2002, Seattle. Retired investment adviser; also on boards of Forest Stewardship Council, and digital privacy and biometric identity organizations. Andy Held. Since 2010, Kirkland. Former high-tech and small businessman, Kirkland Planning Commission and board of the Wilderness Awareness School. Bruce Jacobsen. Since 2017, Seattle. Bruce has worked in technology including for Microsoft, RealNetworks and as the founder and CEO of Kinetic Books. Joseph Joy. Since 2017, Bellevue. Joseph worked for 22 years at Microsoft before leaving to start Rinworks LLC, focusing on inquiry-based educational programs that leverage technology. He has an MS in Ocean Engineering and an MS in Computer Science. Bert Loosmore, PhD. Since 2016, Mercer Island. Part-time professor of quantitative methods and finance at Pinchot University. Holds a PhD. in Quantitative Ecology and Resource Management from University of Washington. Alexandra Loeb. Since 2003, Seattle and Rossland, British Columbia; former Microsoft Vice President. Elise Lufkin. Since 2015. An impact investor who has played multiple roles in the nonprofit community, including funder, board and staff. Elise also serves on the board of the Progress Alliance of Washington. Joaquin Marchand. Since 2016, Elmer City. City councilman, Colville Tribal Director of Diabetes Prevention, M.A. Public Administration, U.S. Army veteran, 1-505 PIR. Amelia Marchand. Since 2016, Elmer City. Colville Tribal Water Regulatory Specialist, Hearts Gathered board member, Center for World Indigenous Studies Associate Scholar, M.A. Environmental Law and Policy. Lisa McShane. Since 2014, Bellingham. Professional artist, community leader and political and policy strategist, working for Tribes and individuals. Patricia Laughman. Since 2016, Seattle. Attorney at Skellenger Bender, P.S. representing design firms, owners and consultants, as well as clients involved in employment-related disputes, and has experience and interest in litigation arising out of environmental projects. 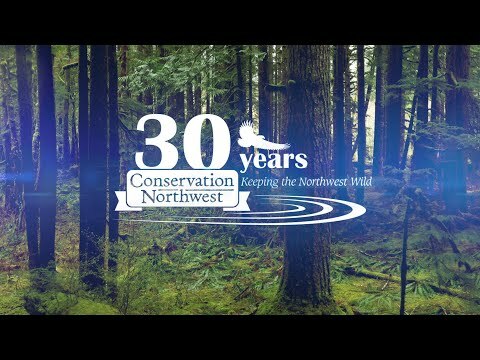 Former Policy Research Intern at Conservation Northwest, 2004-2005. Floyd Rogers. Since 2007, Renton. Former Microsoft, real-estate investor, ski and snowboard instructor. Kevin Scott. Since 2018, Vancouver, Canada. Cofounder of the Fraser Watershed Initiative, a multi-year campaign to work with First Nations, NGO’s, and local governments across British Columbia to ‘heal & protect’ the Mighty Fraser Watershed. For more on our advisory board, please see this blog post from February 2015.